Cheesy Corn Dip is a great appetizer or snack that everyone loves! 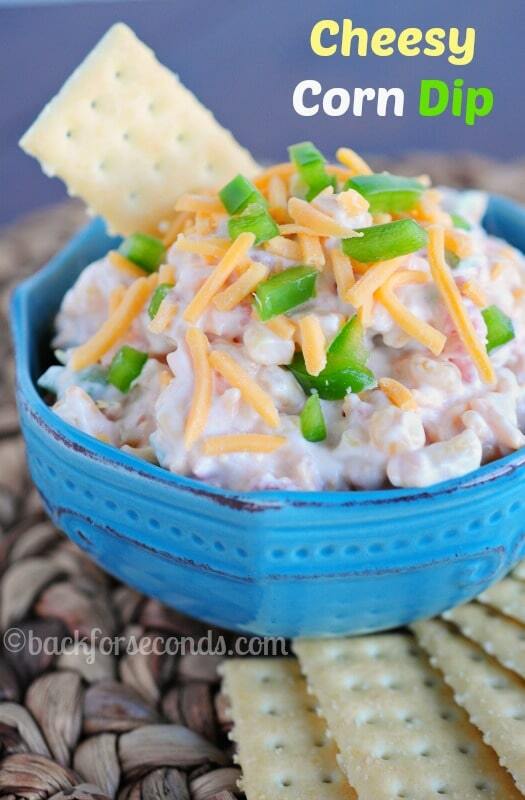 It’s perfect for parties, and it also makes great game day food! So, this isn’t exactly diet food but you still need this recipe! There has to be a few of you out there not on a diet, right? I never like doing things that everyone else is doing…so I’m not dieting. How’s that for a New Years resolution? Haha! My baby boy turned a year old on New Year’s Day (perfect day for a party! ), and this was one of the snacks we served. It’s creamy and cheesy, and you will for sure go back for seconds! I made it the night before and it was perfect! Anything I can make ahead of time to make things easier is a bonus, plus the extra chill time helps all the flavors to really meld. So good! Love the southwesty flavours you’ve used here. Ro-Tel is impossible to get up here in Canada, but I usually make do by subbing with regular canned tomatoes and then adding a small can of green chilies. Pass me that bowl at your own risk (I would make it disappear)! 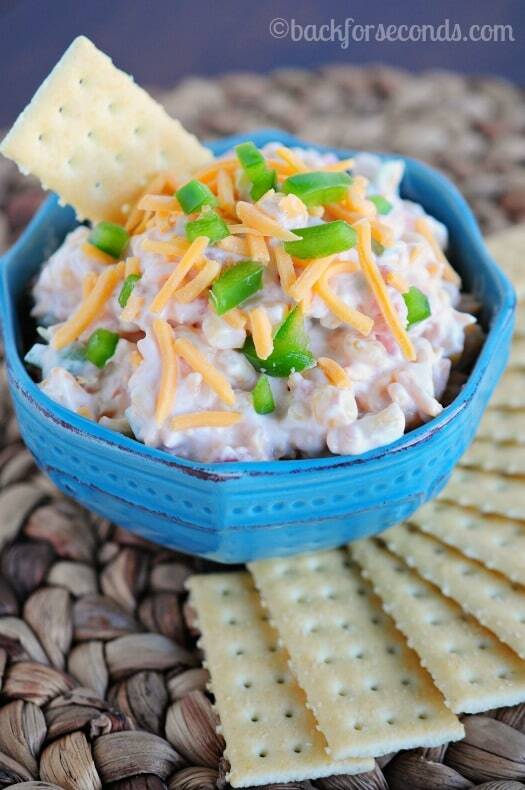 Perfect party dip and even better that you can make it ahead (I bet it gets better too)! Time to start planning the menu for the big game. Your recipe looks like one that everyone will love! SCORE! 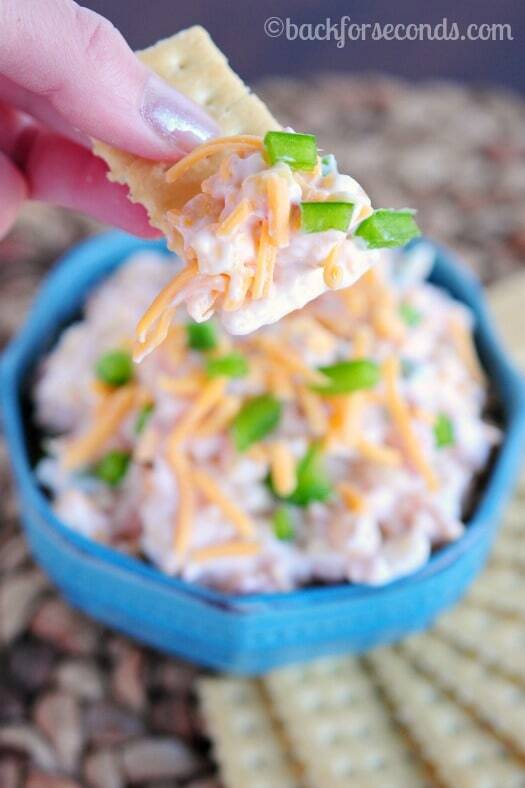 If I went to a party and saw this delicious dip sitting on the table I would park myself right next to it and not move 🙂 I love the idea of sweet corn in a dip…yum! I love this dip. It’s perfect for parties. i *am* trying to lose a few pounds, but the only way diets ever work for me is if i treat myself to something special once in a while. This looks like the perfect “cheat” for a Sunday afternoon!